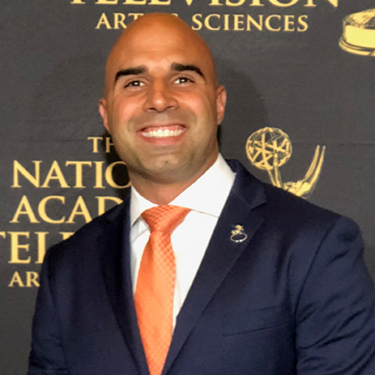 Bruce Gradkowski is a former UT and NFL quarterback, the owner of Social Gastropub’s and Pilgrimage Hospice in Pittsburgh, and also works with ProMedica providing community relations. At UT as a quarterback, Gradkowski set 27 school passing records, led UT to a MAC championship and two West Division titles, co-won the 2005 Vern Smith Award, and led UT to a 26-11 record. He spent his 11-year NFL career with the Cincinnati Bengals and Pittsburgh Steelers, among others. Since his football career, he opened Social Gastropub in Perrysburg, opened Pilgrimage Hospice in Pittsburgh, has served as a color analyst for UT football, volunteers for Anthony Wayne football, has given away scholarships, speaks to youth, and has done community relations for ProMedica, including emceeing an event for ProMedica with Chrys Peterson. He also serves on the steering committee for Toledo Hospice, is co-chairing a Night of Champions event to benefit social determinants in early October, and is on the board for a Tabernacle of Toledo church campaign.